As the earth and moon move through space and time around the sun, our position also changes within this shifting triangle of spheres. Tide is a live installation controlled by this changing spatial relationship. A gravity meter located in the gallery space measures the Earth tide, caused by the changing gravitational pull of the moon and sun on the Earth. 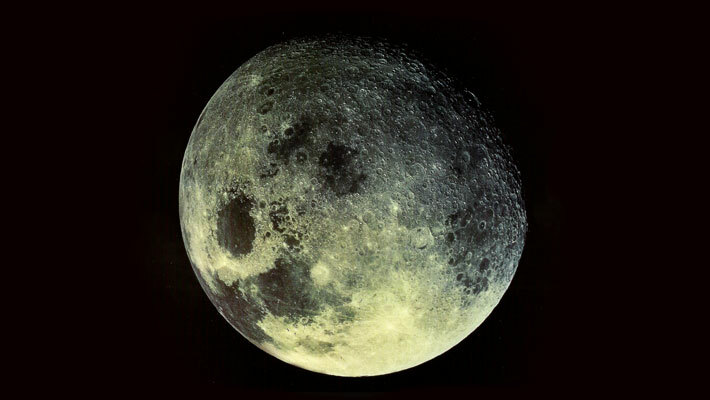 This information is represented as a video projection showing a full 24 hours of altering gravity. Through the use of water pumps, the received data is also made to control water levels within each sculptural object. A friction device makes the glass of each sculpture resonate and sing (like rubbing a finger around the rim of a wine glass). The rise and fall of water levels over time from high to low tide changes the note produced by each singing sculpture. Referencing the planets in movement and form, the resonating spheres of glass create a chorus of sounds which fill the gallery space. Being ‘directed’ live, these machines are altering their state with the change in Earth tide and the altering positions of the moon and Sun in relation to the gallery. Two years of extensive research was carried out in the development of the work. Advice and support came from over 100 individuals and organisations from around the world including the University of Hawaii Astronomy Department, Medieval musicologists, Clear Night Sky campaigners and a 17th Century glass harmonica maker. NASA provided information on their three-dimensional gravity meter used in submarines for stealth navigation. 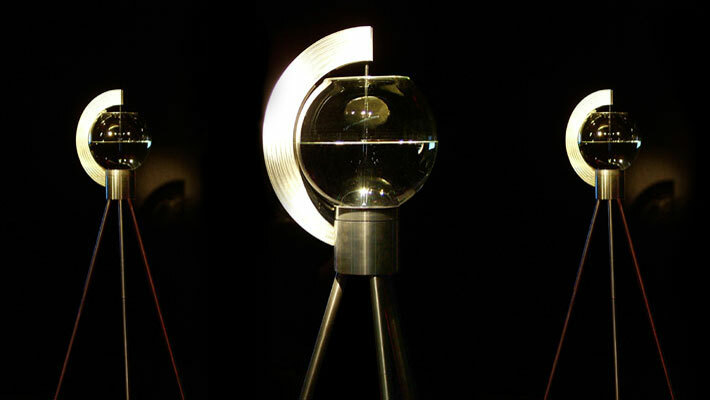 The final work is based on Kepler’s theories of the Music of the Spheres and references early scientific apparatus, as studied in the London Science Museum. The work functions as both an astronomical clock and a media art exhibit. 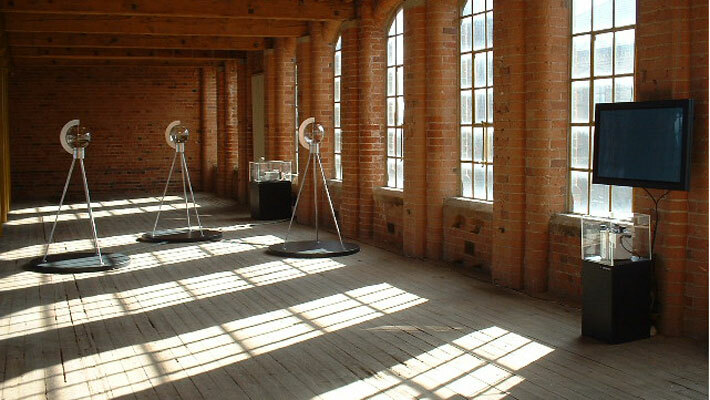 Funded by the Institute of Physics and the Arts Council of England, Tide was commissioned by DA2. The sculptural elements of the work have been built by engineers and glassblowers of the University of Bristol. University students and electrician Dave Boultbee designed the control unit. With thanks to the Open University for the loan of their very expensive gravity meter! 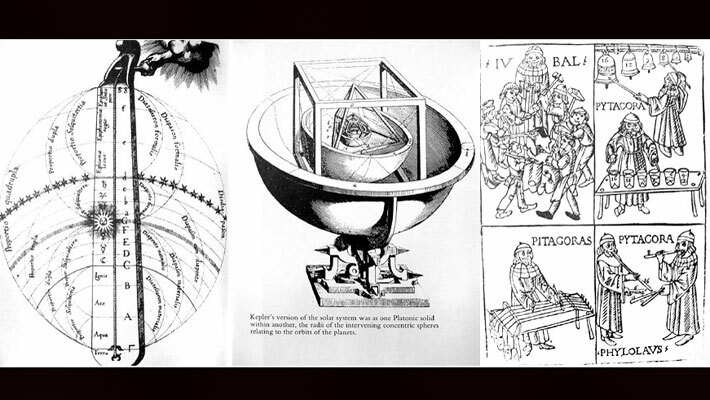 Download a PDF file – “Writings of Tide” by Mark Birkinshaw, Professor of Cosmology and Astrophysics at the University of Bristol, Peter Ride CARTE and Robert Evans, Musicologist. Website by Deckchair. Bloggers may use all content from this site but must credit artist Luke Jerram.